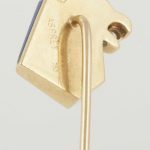 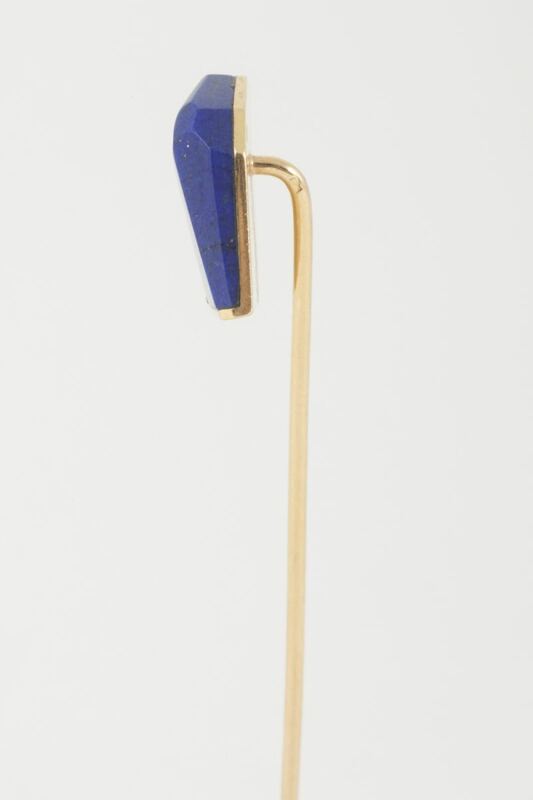 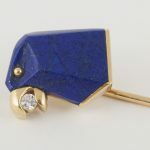 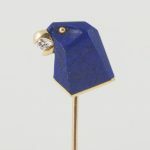 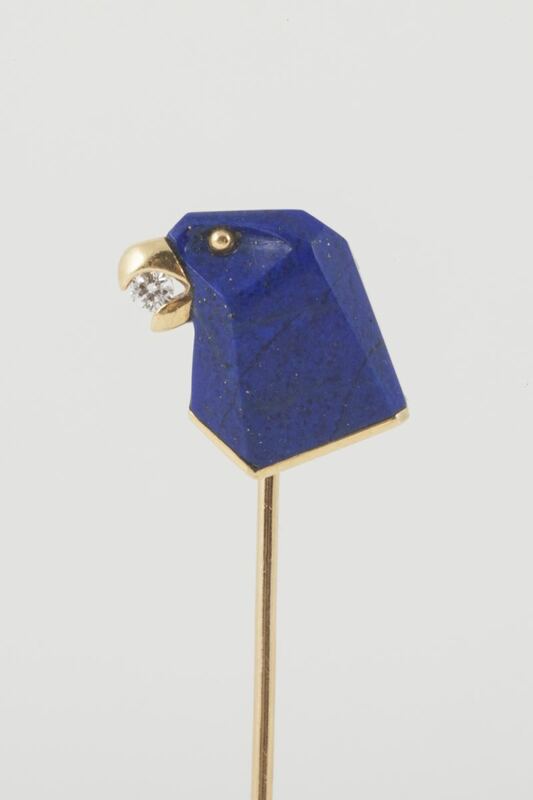 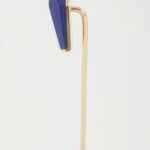 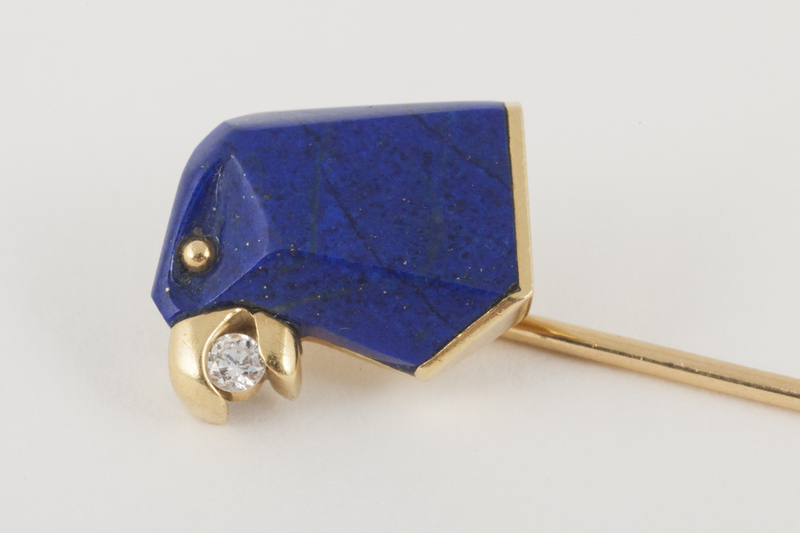 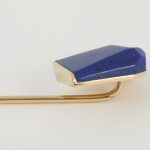 A finely made 18 carat gold tie pin in the form of an Eagles head, set with a single piece of natural lapis lazuli, with a gold eye and a brilliant cut diamond in its beak. 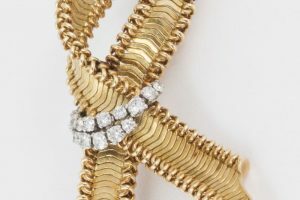 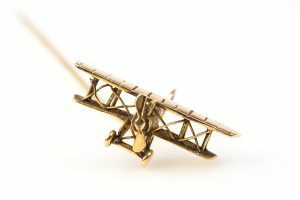 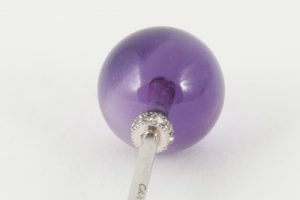 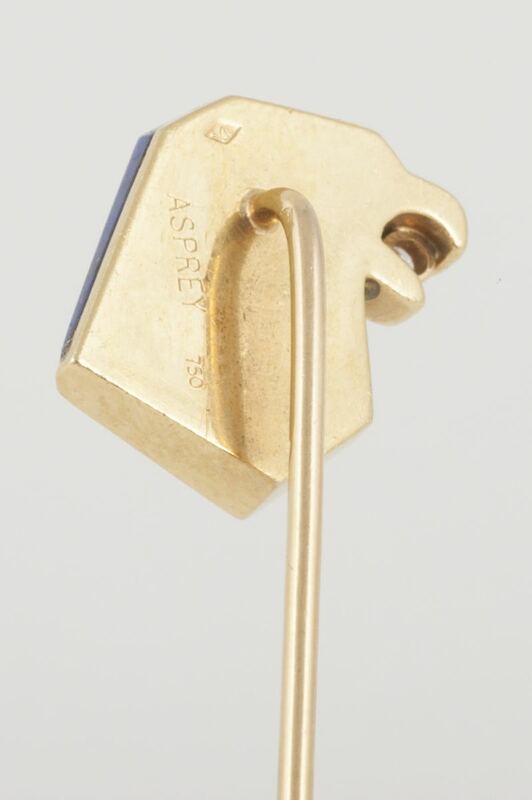 Signed Asprey and Co. and marked 750 for 18 carat gold. 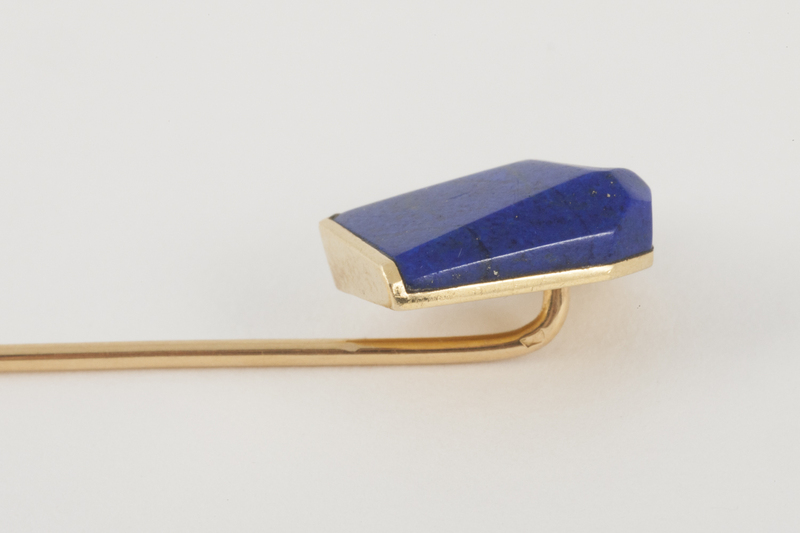 Late 20th century, English circa 1970-80.